When you think about museums in Chicago, the Art Institute immediately springs to mind. It’s the second-largest art museum in the country and features two famous lion statues at the entrance that will instantly bump up your selfie status. The treasure trove of work inside includes everything from African art to medieval armor to architecture and design. Current and upcoming exhibitions include “Mirroring China’s Past: Emperors and Their Bronzes,” “John Singer Sargent and Chicago's Gilded Age,” and more. 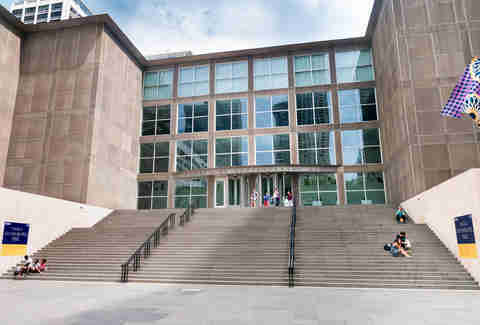 What to know before you go: The Art Institute of Chicago is open 10:30am to 5pm daily (until 8pm on Thursdays). Admission is $25 for adults, $19 for seniors, students and teenagers, and free for anyone 13 or younger, with discounts for Chicago and Illinois residents. Admission is free for Illinois residents from 5 to 8pm every Thursday. If the modern wing at the Art Institute of Chicago isn’t enough, lovers of modern art can’t miss the Museum of Contemporary Art. In fact, the building itself (home to the MCA since 1996) is a modern marvel and an ode to Chicago in both its nods to famous architects from the Chicago School and in its design, which was inspired by the city’s grid system. Featuring a collection that includes Andy Warhol, Alexander Calder, Jasper Johns, Jeff Koons, and countless more modern art heavy-hitters, the museum will leave you dazzled for hours. What to know before you go: The Museum of Contemporary Art is open 10am to 9pm Tuesday and Friday and 10am to 5pm Wednesday, Saturday, and Sunday. Admission is $15 for adults, $8 for seniors, students and teachers, and free for anyone 18 and younger. Admission is free for Illinois residents every Tuesday. The Pilsen neighborhood in itself is rich with Mexican murals and culture, but the National Museum of Mexican Art holds a 10,000-piece permanent collection by artists from both Mexico and America, offering a 3,000-year overview of works that often go overlooked in the American art world. Enjoy folk art, photography, sculpture, paintings and more, and make a visit here a priority during October for the museum’s Día de los Muertos exhibit, which features altars and other Day of the Dead art. What to know before you go: The museum is open 10am to 5pm Tuesday through Sunday, and admission is always free. 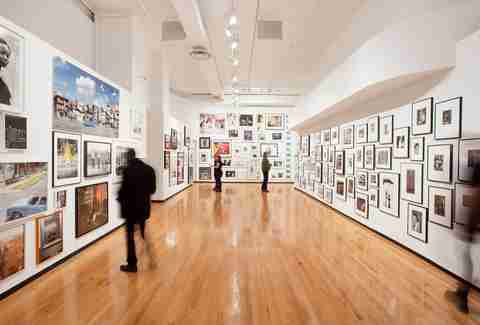 What to know before you go: The Museum of Contemporary Photography is open 10am to 5pm Monday-Wednesday and Friday-Saturday, 10am to 8pm Thursday and noon to 5pm Sunday. Admission is always free. The Chicago Design Museum, initially planned in 2012 to be a pop-up, now calls the mall Block 37 home. The museum closes between exhibits but will feature “Great Ideas of Humanity: Out of the Container,” April 20-August 18, 2018, and “Keep Moving: Designing Chicago’s Bicycle Culture,” October 19, 2018, through February 15, 2019. 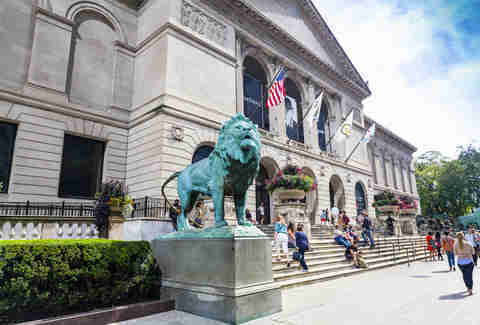 The museum, which is run largely by young, energetic volunteers, represents a perfect foil to institutions like the Art Institute that have been around for more than 100 years, proving that in Chicago, there’s plenty of room for old and new. What to know before you go: The Chicago Design Museum is open noon to 7pm Tuesday-Saturday, and admission is always free. While the Chicago Architecture Foundation has been around since the 1960s, summer 2018 has a big treat in store for architecture junkies, when the foundation opens the brand-new Chicago Architecture Center overlooking the river. In addition to the architecture tours CAF has become known for, the new center will feature nearly 10,000 square feet of exhibition space that will host an interactive Chicago Model and a new, permanent skyscraper exhibit. What to know before you go: The Center will open August 31, 2018. Check online for hours and admission information. The American Writers Museum only just opened in 2017, but it is already becoming a Chicago institution. Nestled on the second floor of a Michigan Avenue space, the museum takes visitors through the history of countless important American writers, including Ida B. 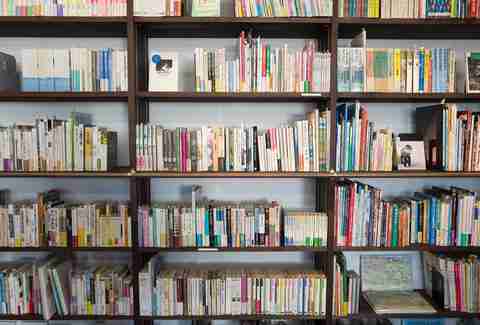 Wells, Sylvia Plath, Kurt Vonnegut, and more. There are even collections on punk zines and a couple tables full of typewriters (touching is encouraged here). It's one of the more unique -- and tactile -- experiences Chicago’s museums have to offer. What to know before you go: The American Writers Museum is open 10am to 5pm Tuesday-Wednesday and Friday-Sunday and 10am to 6pm Thursday. Admission is $12 for adults, $8 for seniors and students and free for children 12 and younger. Chinatown is a favorite stop among visitors to Chicago, and the Chinese-American Museum of Chicago is a must-see of the neighborhood. With a permanent exhibit that tells the story of Chinese immigration to the Midwest, plus rotating exhibits on things like Chinese clothing, art, and more, this museum is sure to teach visitors something new about an important culture that has been rooted in Chicago's community for more than 100 years. What to know before you go: The Chinese-American Museum of Chicago is open 10am to 4pm Saturday and Sunday and 9:30am to 2pm Tuesday-Friday. Admission is $5 for adults and $3 for students and seniors. 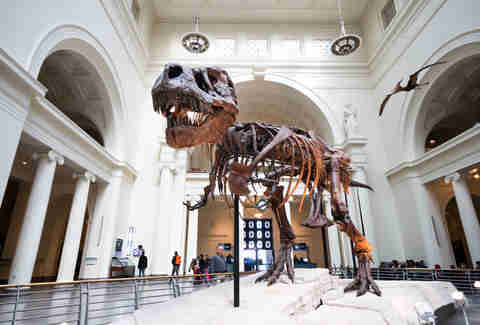 The Field Museum is not just one of the biggest and best museums in Chicago -- it’s one of the biggest and best natural history museums in the world. This is one of those museums you can spend all day inside, getting lost in the most magical way through three floors and almost 500,000 square feet of exhibition space. And, fun fact: The museum itself came out of one of the most important events in Chicago’s history, the 1893 World’s Columbian Exposition. Come here to see everything from dinosaur bones, to Native American pottery, to mummies, and more, and leave with a sense for how the world around you came to be. 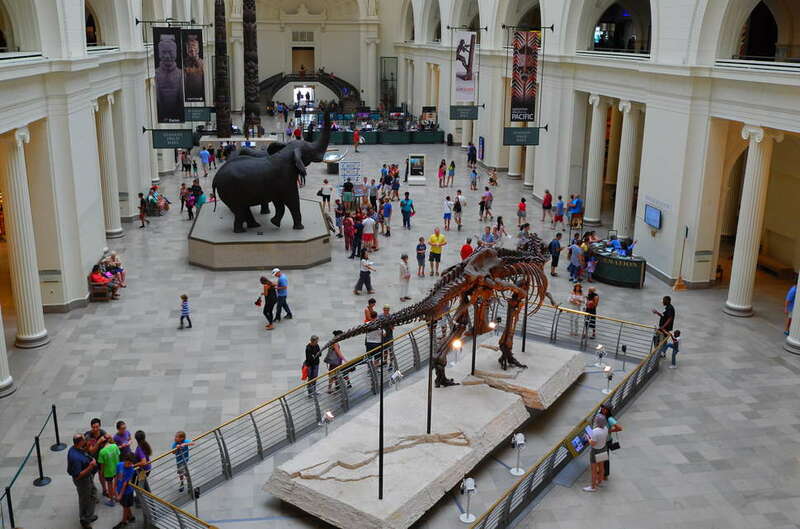 What to know before you go: The Field Museum is open 9am to 5pm daily. Admission is $24 for adults, $21 for seniors and students and $17 for children. Check online before you visit -- sometimes the museum offers free days throughout the year for Illinois residents. While development on the Chicago Riverfront ramps up -- including the much-loved Chicago Riverwalk and countless new buildings, restaurants, retail, and more -- the McCormick Bridgehouse and Chicago River Museum offers visitors a history of the river and its importance to Chicago. If you don’t want to spring for a pricier boat tour, this museum is a great way to experience Chicago’s famous waterway. What to know before you go: The McCormick Bridgehouse & Chicago River Museum is open 10am to 5pm Thursday-Monday from May 12-October 29. Admission is $6 for adults and $5 for seniors, children 6-12 years old and students, and children 5 and younger are free. Admission is free for all every Sunday. The Museum of Science and Industry somehow makes 400,000 square feet seem small when you think about everything they managed to pack inside, including interactive exhibits on weather, transportation, energy, genetics, farming, space, and more. 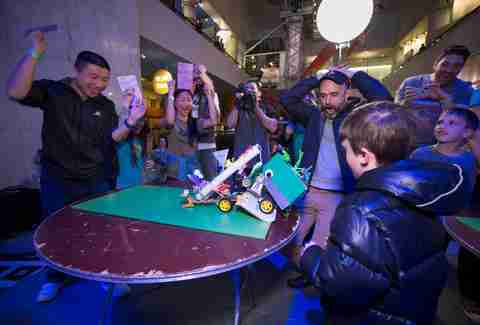 Here you'll about science in a historical sense as well as where the field is heading in the future, and do it all while having an absolute blast, no matter your age. What to know before you go: The Museum of Science and Industry is open 9:30am to 4pm Admission is $21.95 for adults and $12.95 for children 3-11, with discounts if you purchase online. Check online before you visit -- sometimes the museum offers free days throughout the year for Illinois residents. The International Museum of Surgical Science is one of the coolest niche museums Chicago has to offer, but it might make you a little queasy. Featuring exhibits on everything from polio to war wounds to ancient gynecological tools, it’s easy to think this museum is morbid and scary, but in reality, it offers a deep and respectful history of surgical science, which the developed world likely takes for granted today. What to know before you go: The International Museum of Surgical Science is open 10am to 4pm Monday-Friday and 10am to 5pm Saturday-Sunday. Admission is $17 for adults and $13 for seniors, students, educators and members of the military, $9 for children ages 4-13 and free for children 3 and younger. Admission is free for Illinois residents every Tuesday. 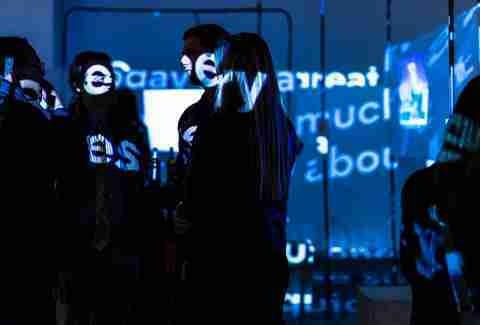 Adler Planetarium offers everything you’d expect from a museum dedicated to astronomy, but perhaps one of its coolest features is Adler After Dark. For adults 21 and older, the Planetarium turns into a sophisticated party with hands-on educational programs every third Thursday of the month from 6-10pm. 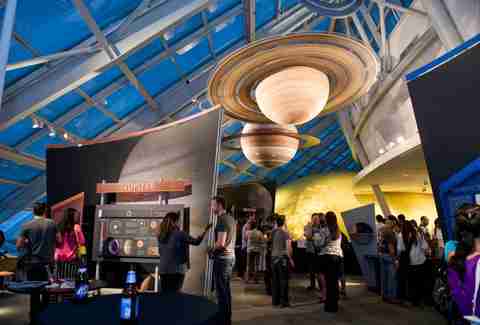 Enjoy full access to the museum, special lectures, access to the observatory, live entertainment, and food and adult beverages. What to know before you go: Tickets are $20 in advance or $25 at the door. For a more standard museum experience, Adler Planetarium is open 9:30am to 4pm daily. Admission is $12 and $8 for seniors and children ages 3-11. Check online before you visit -- sometimes the museum offers free days throughout the year for Illinois residents. If you’re looking for a way to keep your kids satisfied at the museum, the Chicago Children’s Museum will not disappoint. With options for kids to play in a treehouse, construct a skyscraper, create works of art and so much more, there’s never a dull moment here for families. What to know before you go: The Chicago Children’s Museum is open 10am to 5pm Monday-Wednesday and Friday-Sunday and 10am to 8pm Thursday. Admission is $14.95 for children and adults, $13.95 for seniors and free for children younger than 1. 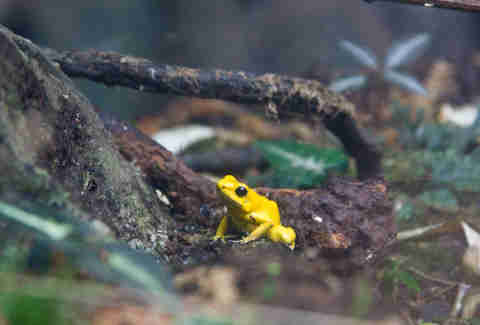 Admission is free every Thursday from 5 to 8pm. Brookfield Zoo might be bigger, but if you’re looking to stay in the city limits, Lincoln Park Zoo is your perfect zoo option -- and it’s free 365 days of the year. 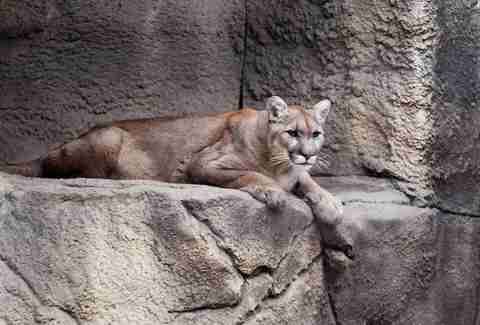 Founded in 1868, it’s one of the oldest zoos in North America and today boasts more than 1,000 animals. Escape the hustle and bustle of the city to enjoy all the exotic wildlife you’d expect from a zoo, from lions to penguins and everything in-between. As a bonus in the summertime, hit up one of the farmers markets in Lincoln Park to really capture that escape-from-the-city vibe. What to know before you go: Lincoln Park Zoo is open at 10am every day of the year and closes between 4:30 and 6:30pm, depending on the season. Admission is always free. Named for Jean Baptiste Point DuSable, a Haitian who is credited for establishing Chicago in 1779, the DuSable Museum of African-American History celebrates African-American history, culture, and art through world-class exhibits and programming, including permanent exhibits highlighting African-Americans in the military and telling the story of the African-American experience, from the Transatlantic Slave Trade through Reconstruction, the Great Migration, the Jim Crow era, the Civil Rights and Black Power Movements, and the US’s first black president. What to know before you go: The DuSable Museum of African-American History is open 10am to 5pm Tuesday through Saturday and noon to 5pm Sunday. Admission is $10 for adults, $7 for students and seniors, $3 for children ages 6-11 and free for children 5 and younger, with discounts for Chicago residents and free admission every Tuesday. Joining The Field Museum and Art Institute as great Chicago institutions in 1930, Shedd Aquarium is one of the oldest museums in the city, and the building itself is an ode to all things aquatic -- from fossils in its floors to Neptune’s trident atop its dome. About 32,000 animals call Shedd Aquarium home, and you can see them all: penguins, turtles, whales, otters, good old-fashioned fish, and more. What to know before you go: Shedd Aquarium is open 9am to 5pm weekdays and 9am to 6pm on weekends during the fall, and 9am to 6pm daily June 11-August 19. Admission is $39.95 for adults and $29.95 for children ages 3-11, and that may sound pricey, but Chicago residents enjoy a 50% discount year-round. And check online before you visit, because sometimes the museum offers free days for Illinois residents. Chicago is known as a great place for professional sports, from the legendary Jordan Bulls to the lovable losers who are even more lovable when they win the World Series. The Chicago Sports Museum is a must-see for any sports fan, featuring fun challenges and simulations like testing your leap against Michael Jordan’s or your grip against Kyle Long’s. The museum also features a forensics section where you can examine things like the evolution of a baseball’s construction over time. And, of course, there’s plenty of sweet game-used memorabilia sure to make any sports fan drool. What to know before you go: The Chicago Sports Museum is open 11:30am to 8:30pm Monday-Thursday, 11:30am to 9pm Friday, 11am to 9pm Saturday and 11am to 6pm Sunday. Admission is $10 for adults, $6 for seniors and children ages 4-11 and free for children 3 and younger. 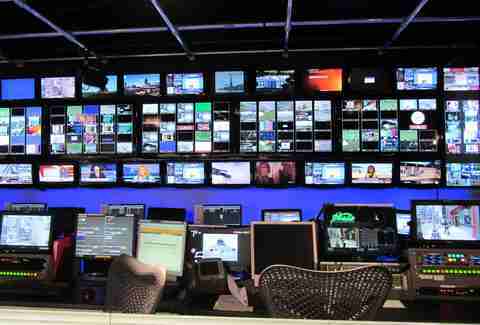 The Museum of Broadcast Communications is one of the quirkier museums Chicago has to offer. It features exhibits you might expect, like the one on Saturday Night Live. But it also makes room for Chicago hero Svengoolie, whom you must learn all about to make any trip to the city complete. Though the museum first opened its doors in 1987, it has only been at its current (and largest) location since 2012, making now a better time than ever to experience this Chicago gem. What to know before you go: The Museum of Broadcast Communications is open noon to 5pm Sunday, 10am to 5pm Tuesday and Thursday-Saturday and 10am to 8pm Wednesday. Admission is $25 for adults and $20 for seniors and students. Jane Addams was the first American woman to receive the Nobel Peace Prize, and the Hull-House Museum celebrates the social change she and her colleagues made in this very space in the late 1800s and early 1900s. Addams founded the Hull House as a social settlement for changemakers. The work that came out of the house includes initiatives for immigrants and juveniles. What to know before you go: The Jane Addams Hull-House Museum is open 10am to 4pm Tuesday-Friday and noon to 4pm Sunday. Admission is a $5 suggested donation.